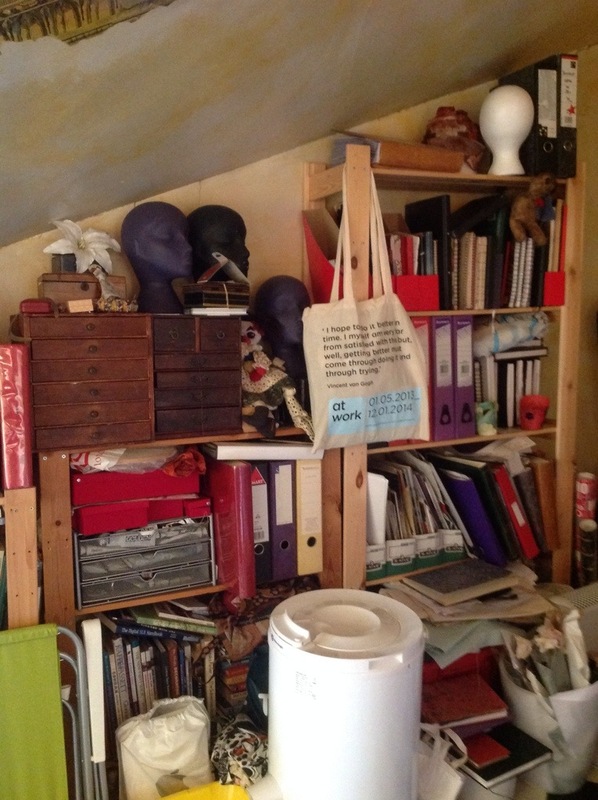 My studio – aka the second bedroom – got a bit of a tidy this weekend as we are having builders in to quote for a new roof. ( It currently has a horrible leak which doesn’t encourage me to go in there and work! ) As part of the process it will also be getting a skylight which should do wonders for the level of light. In the meantime here is a look at the ordered chaos! On Thursday I went to the last Creative Embroidery evening class for this academic year. I won’t be going to the class in September as I’m signed up to do Contemporary Millinery at Morley College for at least the Autumn Term. With a full time job two evening classes a week is a step too far! I shall miss it. 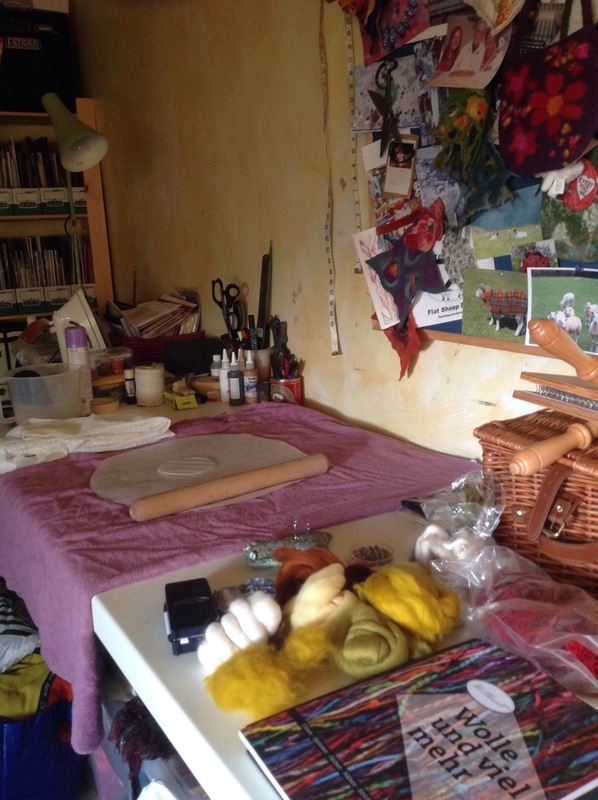 I’ve learnt a lot, but really what I will miss most is sitting round a table with a group of women quietly stitching and listening to the highs and lows of other people’s lives – lives which are often very different from mine. 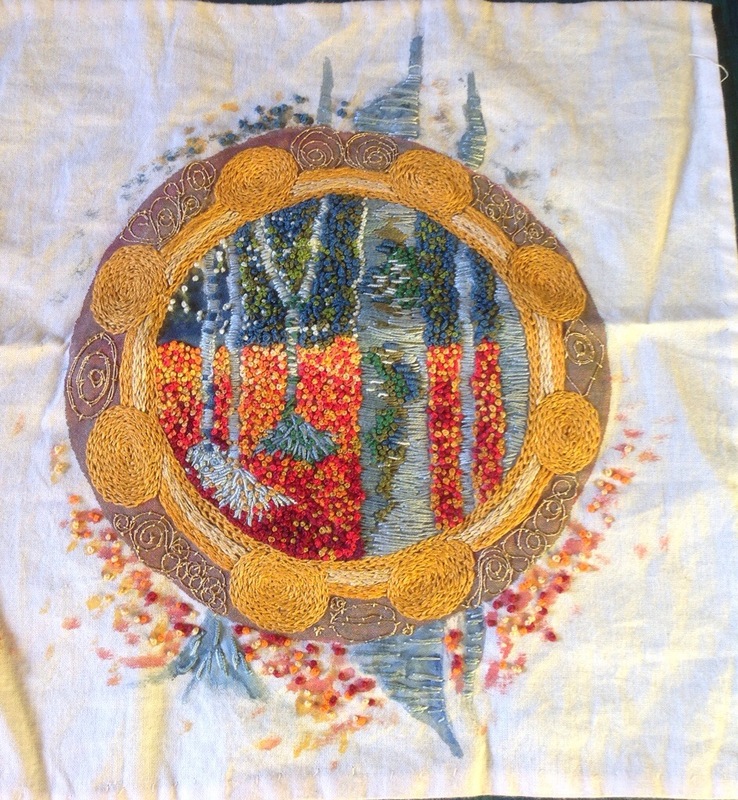 There have been deaths and births, illness, holidays and work issues – and along the way a lot of very beautiful and skilled stitching has emerged. I’ve included the two main pieces I’ve worked on over the last two years here as they never appeared in this blog in their finished state. Velvet stitch nearly killed me at one point…. 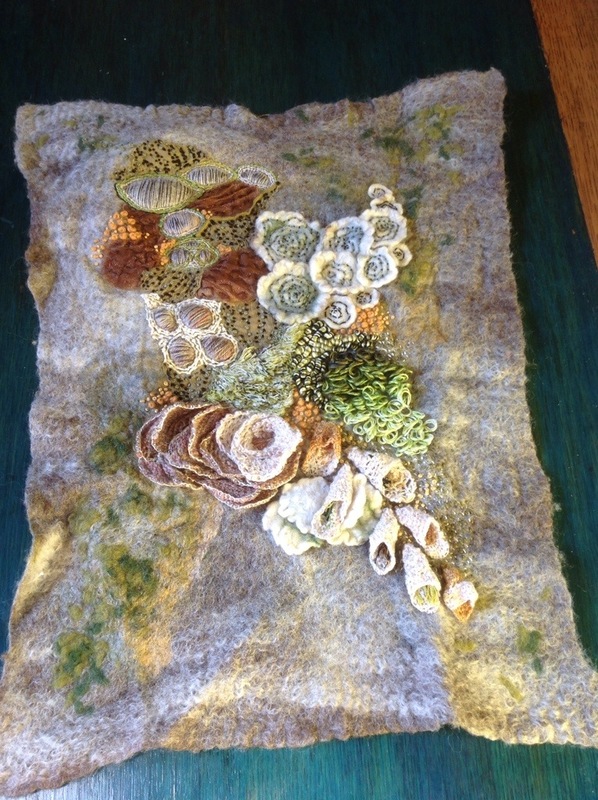 and I confirmed my love of the French knot with my tribute to Gustav Klimpt…. I can’t say definitely that I’ll be back next year as heading off into the depths of East Finchley every week isn’t my favourite thing in the world. But I may….